Edinburgh, Scotland, United Kingdom. 29 December, 2017. Pyrotechnicians from Titanium Fireworks demonstrate large fireworks and launching tubes at Edinburgh Castle ahead of the annual Hogmanay fireworks display on New Years Eve. 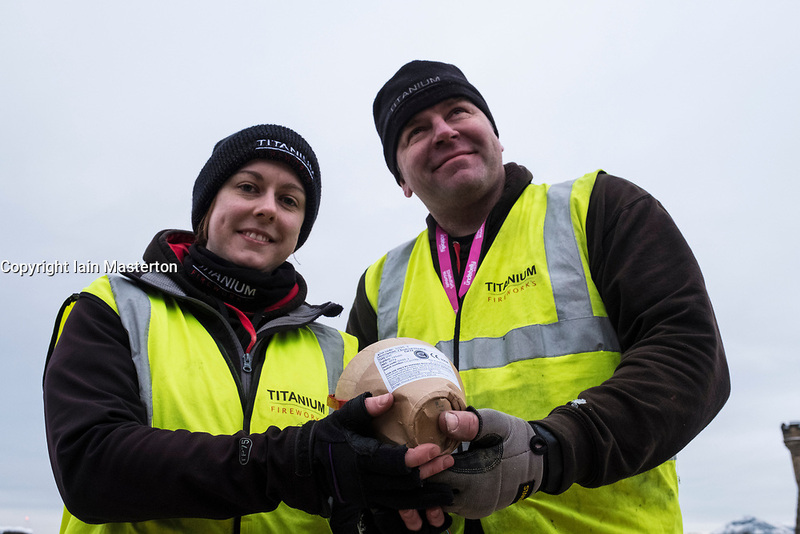 Here a 150mm shell is shown by Lynn Wiseman and Shaun Gibson. This is the largest shell used in the display.